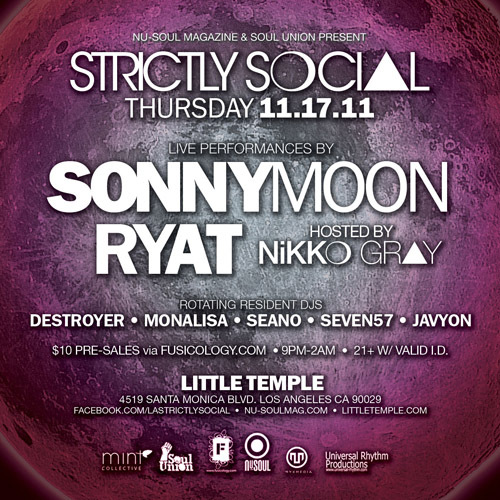 I am hosting another rocking hot show this Thursday night November 17 at Little Temple. Two buzzworthy acts on one stage. Plug Research's newest signing Sonnymoon is joined by Ryat (who had a collab with Brainfeeder's Taylor McFerrin this year). This is going to be a killer show of progressive talent!